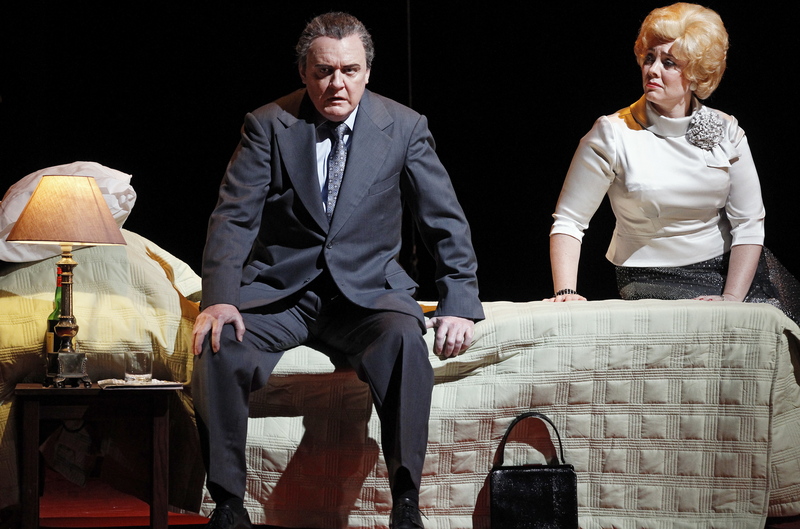 Despite a reasonably healthy run of $1million-plus weeks, the Broadway production faltered after the departure of Nathan Lane, with the flimsy premise of the plot and the basic sets not standing up to the quality needed for a long run. 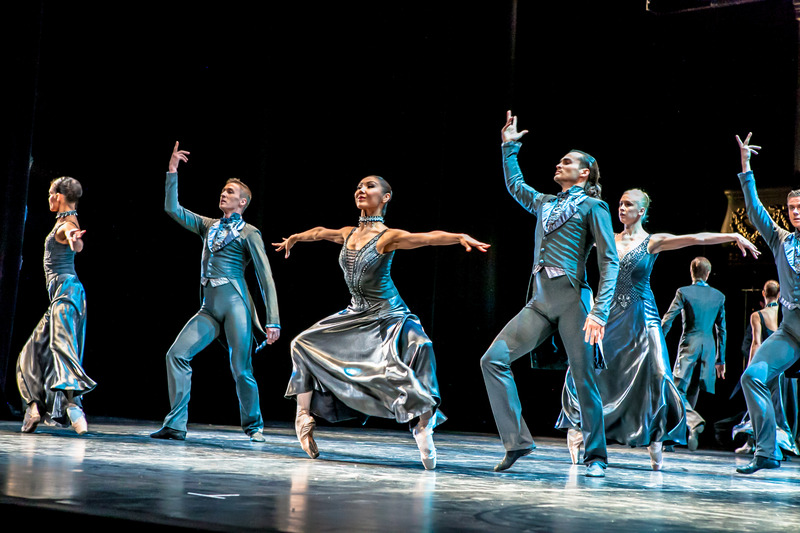 Having been extensively re-written for the US national tour, the new production is a revelation. Slick and witty, family friendly but with a delicious edge, the show now has a solid captivating appeal. Sets are lavish and very cleverly used, with puppetry, flying and general theatrical magic adding to a quality production that is a very cohesive whole. The general plot, a take on the boy-likes-girl-from-a-very-different-family premise of La Cage Aux Folles, remains somewhat slight, but the ensuing complications provide plenty of interest. The storyline centres on the family so exclusively that it is almost like a play, with the ensemble of ghostly ancestors largely relegated to background players. This sharp focus, and the briskly economical book by Marshall Brickman and Rick Elice, means there is nary a dull moment in the entire evening. Andrew Lippa’s score is lively and easily accessible at first listen, with genuinely funny lyrics. New songs, such as “Trapped”, are another aspect of the solid improvements that have been made to the show. Jerry Zaks’ direction deftly juggles a range of quirky, likeable characters, landing lashings of laughs by having the cast neatly underplay the gags. 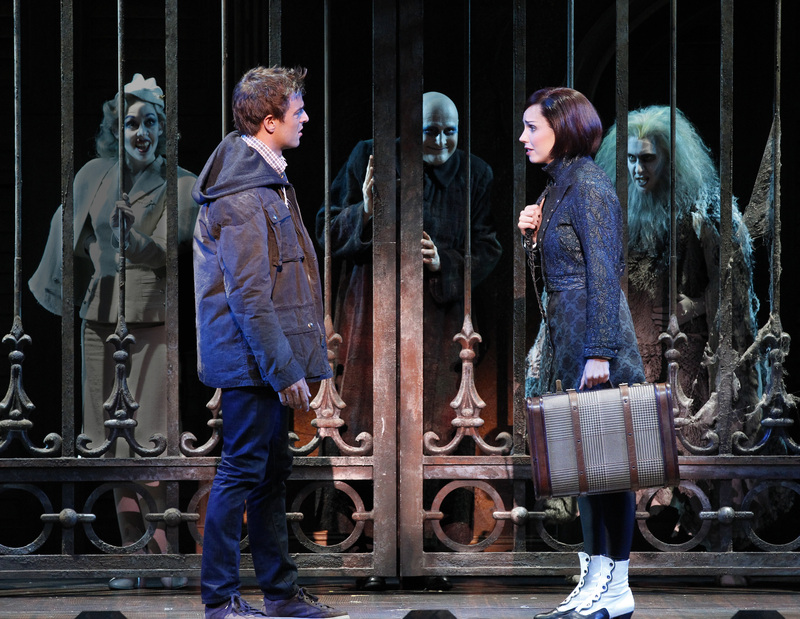 After introducing the family Addams at the annual cemetery dance, the show moves on to the visit by the Beinekes, parents of Wednesday’s true love Lucas. Gone, mercifully, is the bizarre act two battle with the squid living under the stairs, the second half instead focusing on the adult couples re-assessing their love in light of the young couple’s trials. Oh and there is a truly adorable charm song about Uncle Fester’s love for the moon. 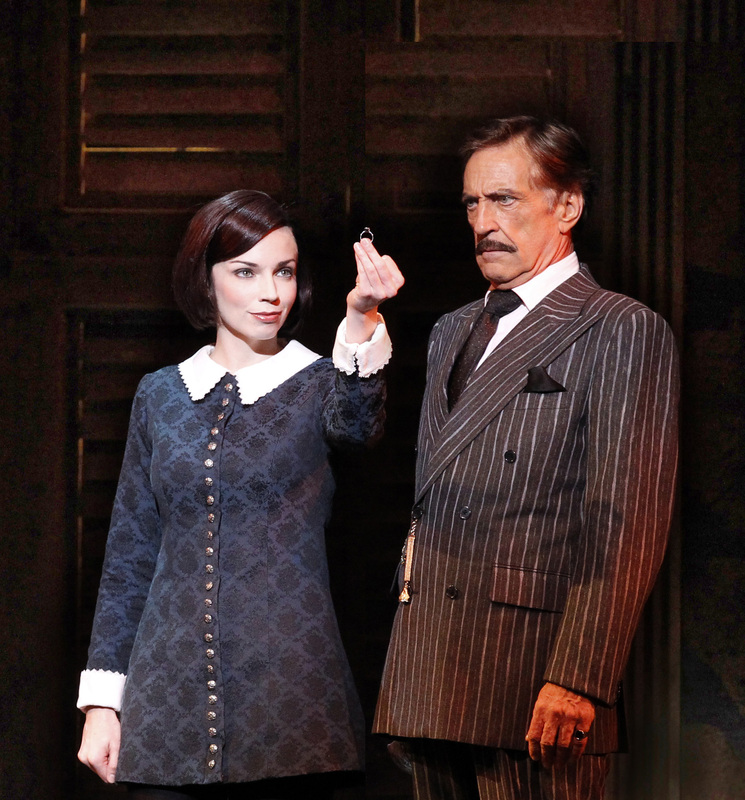 Central to the joy of the show is the terrific leading performances, and palpable chemistry, of John Waters and Chloë Dallimore as Gomez and Morticia Addams. Waters returns the role to that of a dashing, romantic figure, eschewing the camp twinkle of Broadway’s Lane. The dilemma of a commanding patriarch who is tenderly sensitive to the women in his life makes Gomez an endearing character. Waters nails plenty of laughs with his straight delivery, and his gravelly voice is well suited to the lyrical style of the songs. What a pleasure to see Dallimore in such a high profile leading role. Looking divinely willow and elegant, Dallimore inhabits the role with delectable flair and demonstrates wonderful command and timing in her comic delivery. Throw in her effortless dancing, a tremendous asset to the production, and you have a true triple threat. A breakout star of the show is sure to be Teagan Wouters, who features as the intensely driven young woman Wednesday Addams. Wouters sings with an extraordinarily strong belt given her petite frame. Handsome young star Tim Maddren has a strong presence as the repressed, highly anxious Lucas, his considerable singing and acting skills proving more than ample for the role. Russell Dykstra crafts a totally lovable characterisation as the earnestly well intentioned Fester, his gleeful portrayal easily earning the audience’s affection. Meredith O’Reilly is a hoot as the cannily insightful Grandma. Blake Hurford, one of five actors playing the role, was a mischievously impish Pugsley on opening night, capturing the slumping, surly countenance of the young troublemaker perfectly. The carefully measured focus and physical control of Ben Hudson as Lurch rounds out the idiosyncratic menagerie of family members. Katrina Retallick’s finely honed comic chops are ideal for the neurotic Alice Beineke, a part that is all the meatier when the drug-addled woman loses her inhibitions. Tony Harvey provides strong support in the slightly underwritten role of conservative father Mal Beineke. The chorus, looking fabulous all in white in a range of distinct, long deceased characters, sang with pristine harmonies and diction, and their dancing was uniformly tight and precise. Sergio Trujillo’s choreography is as much fun to watch as it must be to perform. Extra points for having the entire company dance rather than just the ensemble. Excellent work also from Music Director Luke Hunter leading the punchy, crisp performance of the band. Julian Crouch and Phelim McDermott’s gothic set design suits the night sky ambience of the Capitol auditorium to a tee. The broad comic stylings of the costumes, also by Crouch and McDermott, are attractive and also support the storytelling most effectively. 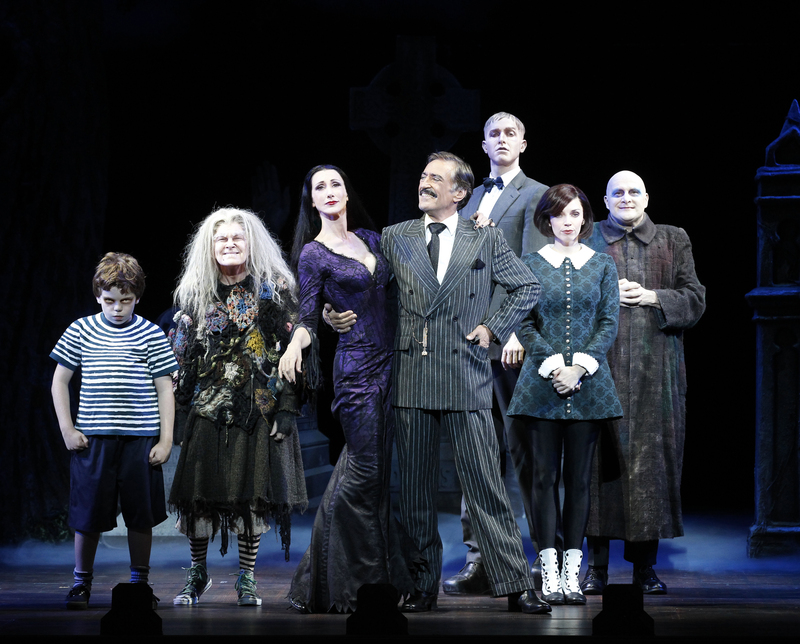 Free of the tinges of saccharine floss of recent family hits Mary Poppins and Chitty Chitty Bang Bang, the broad age group appeal The Addams Family is sure to win over all but the very hardest theatrical hearts. This review written for Theatre People 24 March 2013. Thanks so much Francine. Wasn’t sure about it beforehand but now I feel very hopeful it will come to Melbourne. Hope you have the chance to see it! We desperately need this is London – here’s hoping!!! This would go down an absolute treat in London! Sydney audiences can be a bit cynical/aloof and they were lapping this up last night. In my opinion, I think this would go down a treat in the West End! If you’re interested in Theatre, I’d recommend Simon’s site by the way – fantastic reviews from the other side of the globe! Thanks so much for your support and encouragement Gari. You are my theatre blog idol! I love your variety and your personal posts. And you have the West End and UK tours to cover! I am off to Broadway on Friday so stay tuned for a hectic fortnight of reviews. Agree about the wordpress app. I love blogging on the iPad when travelling but the way the app saves photos is so hopeless I cannot bear it! Fair call Michael. Looking back, I suppose numbers like Playing the Game and also the character of Miss Andrews gave Mary Poppins a certain edge. I did only say a ‘tinge’ of saccharine floss. I suppose what I was trying to get at is that people might feel the need to attend Maryy Poppins / Chitty with children (particularly Chitty) whereas I felt that Addams Family would stand up well for adult theatregoers. 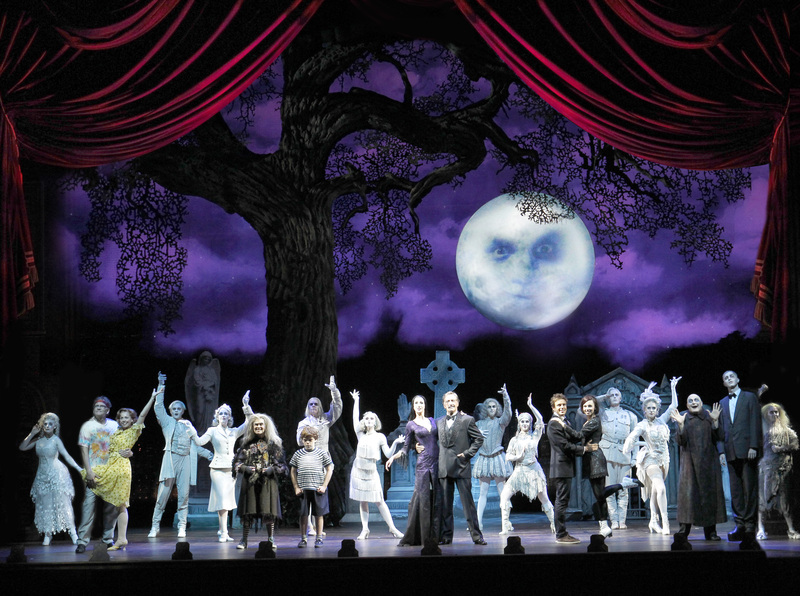 Hope you have the chance to see The Addams Family, it really is a terrific production. Thanks for your positive feedback. Hope you will get to see this in Melbourne before too long. There was a naughty little boy in the show who liked to torture his older sister. Sound like anyone we know? What a pleasure to read a true review – thoughtful, comprehensive and well written! Couldn’t have agreed more either! Thanks so much for your feedback Geoff. I guess it helps a bit that I have a higher wordcount available than print media. Glad to hear you also enjoyed the show. I am disappointed it is not coming to Melbourne as I think music theatre fans here would have appreciated the chance to see it. Tell me, do you cover Sydney shows more regularly? I have many client musicals and plays on my books all the time and the more reviews the better!